After weather delays, response crews have made it out to an oil spill roughly 50 miles north of the City of Kodiak. 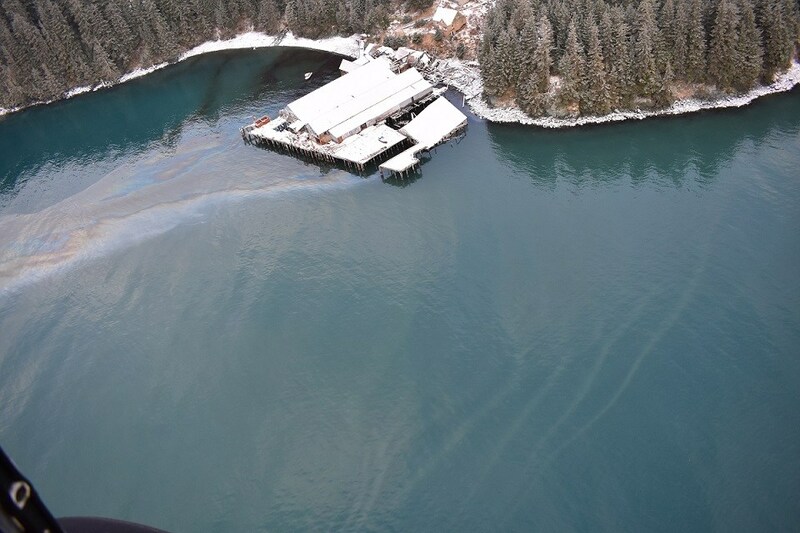 On Monday morning, according to a recent situation report from the Alaska Department of Environmental Conservation, high winds caused a spill of up to 3,000 gallons of fuel at a facility on Port William, on the southern end of Shuyak Island. As stated in the report, a dock collapsed and much of a building along with a fuel bladder fell into the water. The facility’s caretaker originally drew attention to the issue. Geoff Merrell, the state on-scene coordinator with the Alaska Department of Environmental Conservation, says the bladder contents were bunker C fuel oil, a heavy oil that may have been there for some time. Merrell says they’ll be sampling the oil to learn more. The Coast Guard has contracted with Alaska Chadux on containment. Merrel says they conducted an initial site assessment. According to a Coast Guard public information officer this afternoon, four vessels were on scene and using a boom to clean up the spill. Merrell says they conducted an agency over-flight Thursday with federal and state government representatives scanning for potential wildlife impacts. He says they did not observe any oiled wildlife so far, but it remains a concern. Shuyak is mostly state park land and the natural habitat for sea otters, Steller sea lions, and a number of animals, like seabirds.